Relationship Development Intervention (RDI®) was developed by Dr Steve Gutstein. RDI®is a family based program which includes parent education. The RDI® program is based on the latest research on the brain, developmental psychology and autism. The focus of the program is to promote and enhance the child’s social and emotional understanding rather than to teach discrete behaviours and skills. Children on the autism spectrum and with other neuro-developmental difficulties miss out on or fail to master many of the early developmental stages that typically-developing children learn effortlessly. RDI® teaches parents to provide treatment that offers their child a second opportunity to master these early developmental stages. Traditional intervention for those with autism has focused on teaching skills and compensatory approaches to help people with Autism get by, believing somehow that we can not really treat whatever the underlying problems are that prevent individuals from following typical development. Until recently, we have not investigated what the potential is for actually correcting their deficits to the point where they are less of an obstacle to gaining friendships, rewarding employment or independence. That investigation into what it would mean to treat the core deficits of Autism led Dr Steve Gutstein to the development of the RDI® Program). Educating, empowering and valuing parents to create profound changes in their child. Providing a consultative model that puts parents in their rightful role as guides to their children significantly reduces the cost of treatment. Parents spend the most time around their children – not therapists! Parents learn to their to be the therapist for their child. Using an expansive and revolutionary series of objectives for parents and children, based on decades of research literature into how children develop through the guidance of their parents, to systematically move children along the path of typical development. Using quality of life outcomes, such as meaningful relationships and rewarding employment, as the primary end goal of treatment and not a series of discrete skills that become meaningless in real world situations. Being based on the most current research in the fields of autism, human development, and the neurology. Utilising a balanced treatment planning process that considers the autism as well as other conditions or obstacles, and takes the needs of the whole family into account. Allowing families to live life while treating autism. Families experience the quality of life they deserve and learn how to make remediation of autism a part of their everyday life. It does not have to separate from everyday life. Constantly evolving to reflect new research and information, which ensures that the program remains cutting-edge and relevant over time. Using an innovative web-based system to provide parents with continuous access to program information, communication with their consultant, video footage, and much more on an ongoing basis. RDI® is a parent-based model. The parents are trained to become the primary therapists or “guides” to their child, and the Consultant provides the parents with tools, guidance and support. Parents will begin with Parent Stage Objectives to learn how to guide their child in the process of becoming more dynamic and flexible. The Relationship Development Assessment (RDA), which examines the principles of the guiding relationship, will occur regularly with parents and Consultant. The information gained from the RDA and regular consultation sessions will guide the intervention process and progress in Child Stage Objectives. 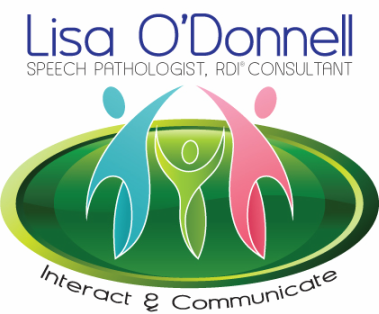 RDI® “therapy” is primarily implemented in the home and community. Parents are encouraged to video tape their therapy with the child and review and analyze tapes to determine if the child is improving. The sessions with the Consultant are usually spent with the parents alone, and may occasionally include the child for demonstration in the particular objective or lesson. The Consultant is the single most important tool in the RDI® program. Consultants are trained to play a role as facilitators, tailoring learning programs based on the unique needs of each family. Carefully transfer their abilities to parents over a series of clear objectives so parents can become fully independent in applying the essential tools. Help parents modify their communication, slow their pace and focus on the underlying opportunities available in their daily routines. Teach parents to conduct observations and analysis of critical processes. Break down large, complex abilities into manageable units. Break down large, complex abilities into manageable units. Construct clear, systematic assignments, individualised to the daily realities of the family. Tailor what they do for each parent and child. Analyse child obstacles to make learning environment user friendly. Determine each child Zone of Proximal Development (ZPD) to know where developmentally to proceed.